The 2018 R nineT Urban G/S: Nostalgia and heritage or maker of brand-new memories? The newly released 2018 BMW R nineT Urban G/S is experiencing an identity crisis, even as it rolls off the line and into showrooms. That's okay. We're here to help. The problem stems from the G/S moniker, which BMW is trying to play down so hard that they haven't even put those two letters in the bike's badging. 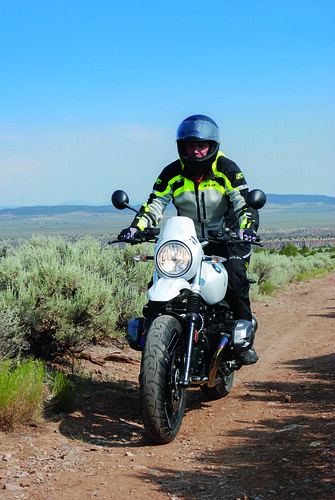 As the Motorrad bosses recently turned a swarm of these bikes loose on a bunch of bike fiends credentialed as motorcycle reporters, the execs went out of their way to underscore the point: "This is not a bike you are going to ride into Moab," Brian Carey told the press crew. As U.S. Product Manager for Motorrad, he might have been positioning the bike in its rightful place on the spectrum of his company's lineup. Or he might have been begging for the riders to stay out of trouble. Not sure. 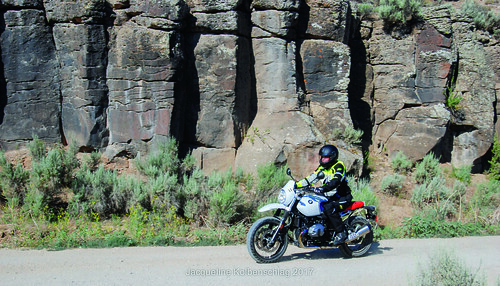 Corporate Communications boss Roy Oliemuller backed up Carey by declaring that anyone into "serious off-road" should stick with the traditional GS line. And the official press release refers to the new bike's scope as including only "light off-road use." 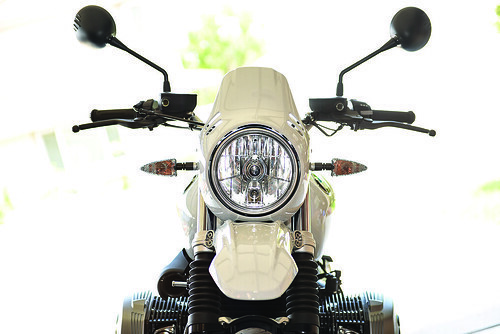 The reason for the Urban G/S moniker on this new R nineT, the fifth and allegedly last in BMW's Heritage line is simple: The biggest difference between this bike and the other four R nineTs is looks. It is meant to tap into a retro-crazy consumer trend. To sate that hunger, BMW looked back to the 1980s, when its R 80 platform won the Paris-Dakar with Hubert Auriol in the saddle. 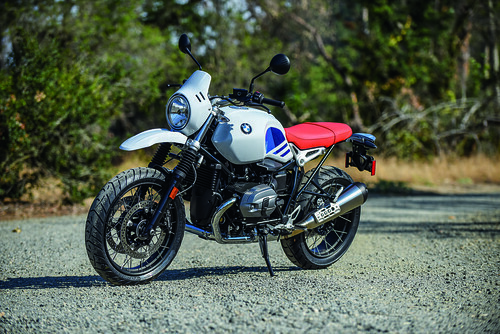 The white, blue and red coloring brings to mind a retro French ski sweater, and it fits neatly into Motorrad's desire to sell more bikes to the younger consumers leading the retro trend. 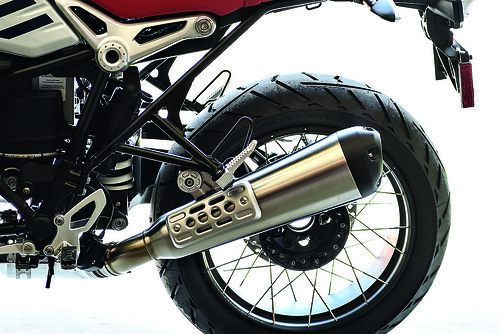 Motorrad's team is faced with attracting younger riders, who often have lower income levels. 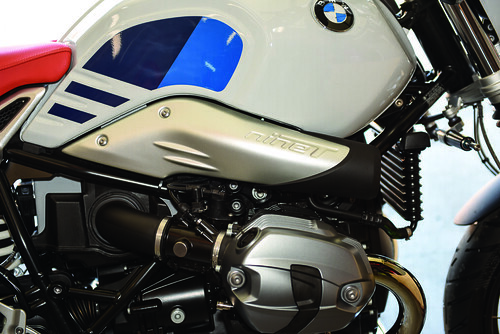 With the average R nineT purchaser at age 49, the team wanted to go younger, and that meant dropping the price. 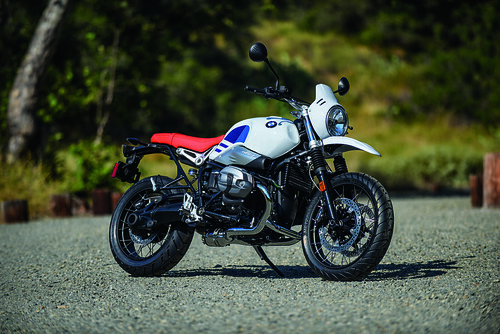 It also meant paying attention to a couple of surprising points made by Carey: 63 percent of the first R nineT buyers said their decision to purchase was driven by "style and design." That percentage jumped to 73 percent with the second-born sibling in the heritage family, which explains both the effort to drop the price and the decision to go with the eye-catching retro color scheme of this 2018 Urban model. With a sticker price of $12,995 some obvious corners have been cut, but BMW did a clever job of making those cuts cool. The best example is this bike's steel gas tank, saving production cost over the aluminum of the previous versions. How is that cool? For an extra $850 you can get the tank raw, in brushed steel with the weld seem showing. Another hundred bucks and they'll even grind down the seam. 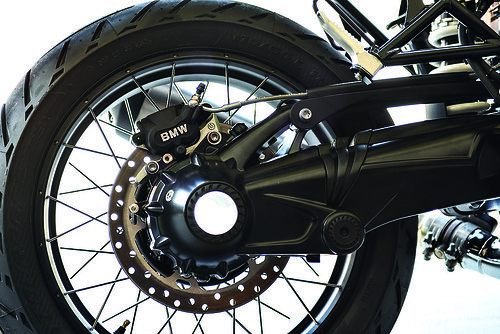 An extra $500 also gets you the cross-spoke wheels, seen in the bike Motorrad released for this review. That gets us down to what counts: the guts of this bike, which are beautiful. The same 1,170cc air/oil-cooled boxer twin is positioned in almost the same stripped-down frame as its earlier siblings. Fire up the bike and hear it snap and snarl. This may be a Heritage line, but the sound of that engine announces its 110 horsepower with 86 pound-feet of torque at 6,000 RPM, bringing you to 62 miles per hour in 3.6 seconds. That speed is found across an incredibly flat torque band and tops out at 125 miles per hour. Power, when you want it and wherever you want it, on a frame light enough to cut a very tight line. Getting on this naked bike and jumping into bumper-to-bumper traffic on I-10 out of Santa Monica offered up a great chance to test the Urban moniker right away. Quick lane changes? Check. Seventy mph to zero in way less distance than the Tesla ahead? Check. Lane splitting, because it's actually (insanely) legal in California? Check. At a Red Bull and fuel stop in a no-name convenience store on the scorched flats of Arizona, a call to the technical wizards at North American headquarters in New Jersey drew a laugh. Was the bike running too hot? "You'll melt down before that bike does. Proceed!" Quartering winds gusting at 35 miles per hour wobbled only the rider, not the bike. Flagstaff went by and gave way to a 100-mile stretch of more heat and acrid smoke laid down by 60,000 acres of wildfire, as 1,600 firefighters struggled against the hot winds to gain a foothold of control. The heat and dirty air lifted at the New Mexico line, revealing the Navajo Nation and Window Rock. 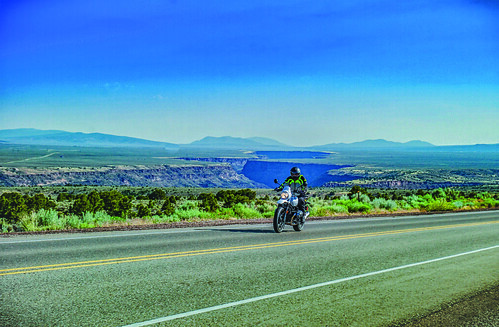 From there it was a quick run up to Santa Fe, where the team was waiting to dump a hot crankcase of oil and perform the rest of the bike's run-in maintenance. Then on to the Taos County Perverse Environmental Training Ground. The test started on US 68 just north of the San Juan Pueblo, where law enforcement becomes scarce and the speed limit is mostly 45 mph as the two-lane blacktop twists along the Rio Grande, following the same non-engineered line followed by the Conquistadors in their doomed effort to find Cities of Gold. The bike powered between third and fifth gear, doubling the speed limit through the tightest of twisties and passing clusters of cars in the shortest of distances. Through descending corkscrews, reverse crowns, fallen scree and tightening arcs, the bike moved seamlessly from line to line. A hundred and ten horsepower in a 485-pound bike. Yes! New Mexico is a state dominated by two lane blacktops, dirt roads and U.S. Forest Service roads that vary in quality from almost groomed to post-apocalyptic. Motorcycle riding here, if you are serious about your fun, requires two bikes: an RT for cruising and a G/S for dual purpose or off-road. This bike changes that. You can ride this bike on the freeway, take an exit and run the two-lane blacktops, and then jump on to a Forest Service Road. The line is drawn at technical riding. Or, to repeat Oliemuller, "This bike is not going to ride into Moab." The suspension never bottomed or flexed in hardpack, rock, sand or gravel. The 17-inch front wheel ate the dips. 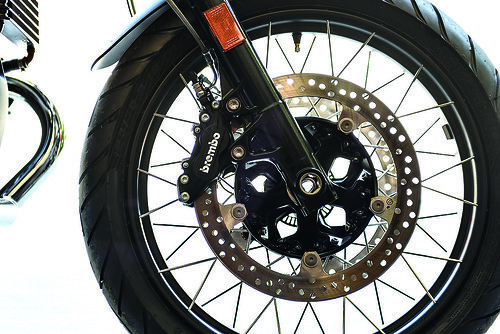 The back wheel sloshed around sometimes, but that can't be a surprise because it was fitted with street rubber. You can choose knobbies or street tires when you order, no upcharge either way. You could also buy a hybrid tire, something like a Pirelli Scorpion Pro. If you ignore the G/S in the name, the question of this bike's true identity evaporates. It is fun. It covers a hugely diverse range of terrain. If you have a tourer and a G/S and you parked this one in between the two, you would ride this more than either of the others because it is fast and easy in town and on the road and you can run it on dirt roads all day long. You can also run it on the freeway, as it performs at speed against truck wash and wind, even without faring. If, on the other hand, you have no bike at all, this one will do more than so many other bikes. The 2018 BMW R nineT Urban G/S is fun: visceral, throaty, fast and versatile. It's a memory of your best and earliest biking experiences in a package of the finest engineering and technology on the market. 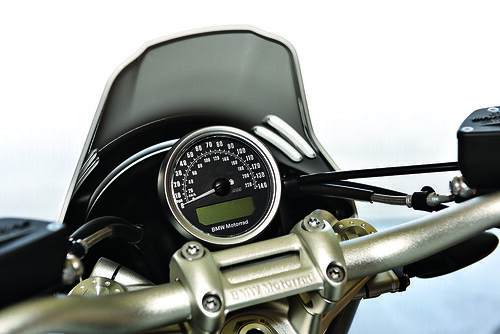 If Motorrad pegged it right, it's not a memory at all – it's a first bike. A memory maker.